The United Nations, UN, has warned about the current rise in hate speech and racial tensions in the world. UN Special Adviser on Preventing Genocide, and head, UN Office on Genocide Prevention, Adama Dieng described the increase in hate speeches and identity-based violence as alarming. Dieng also highlighted his concern that “complacency is still strong” when it comes to stopping the mass-killing or extinction of national, ethnic, racial or religious groups. 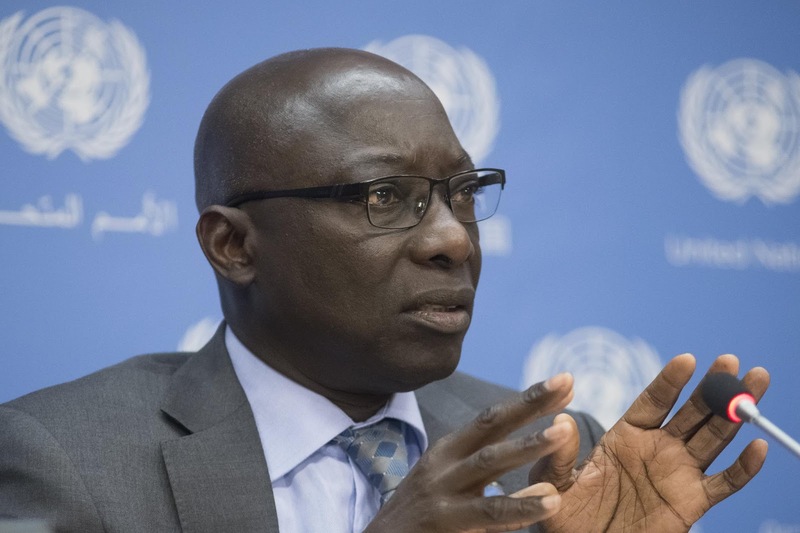 Marking the 70th anniversary of The Convention on the Prevention and Punishment of the Crime of Genocide, in the General Assembly at UN Headquarters in New York, Dieng said it was important to speak out more forcefully, NAN reports. “At a time of decline of the respect for international human rights, humanitarian and refugee law, we must commit to turn prevention into reality. “There is a need to strengthen, not pull away, regional and international cooperation and multilateral institutions to respond to the dramatic challenges of today’s crisis. The Convention was adopted on Dec. 9,1948, by the General assembly in a call for preventative action so that “never again” would the world see the kind of mass-murder perpetrated by the Nazis against the Jews in the Holocaust, during World War II. At the commemoration Dieng, UN Secretary-General António Guterres, and President of the General Assembly, Maria Espinosa, all expressed concern that the crime and scourge of genocide remained a threat and reality today. “My generation believed that after the Holocaust, we would never see genocide again. We were wrong,” Guterres said. He lamented the UN’s failures to heed the signs of genocide in time, citing the massacres in Rwanda, Cambodia and Srebrenica, in Bosnia and Herzegovina, as well as all monumental killings, nursed by hatred. “Today, people are still being brutally killed, raped and displaced simply because of their identities. Violence by the extremists of Da’esh in Iraq, and the bone chilling accounts of persecution by Rohingya Muslims in Myanmar are of extreme concern. “Around the world, racism, hate speech, violent misogyny, anti-semitism, Islamophobia and all forms of xenophobia are on the rise.